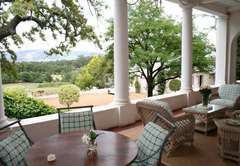 Diemersfontein Wine & Country Estate is a highly recommended Wellington hotel providing accommodation in 18 guest rooms for tourists visiting the Cape Winelands region. Diemersfontein Wine and Country Estate is a third generation working wine farm that keeps tradition and authenticity close to its heart. Framed within spectacular views and mountain ranges, the estate is located in the Cape Winelands in the Wellington valley, with close proximity to all major wine routes and only 50 minutes drive from Cape Town. 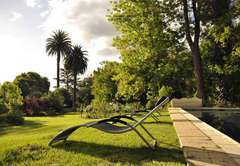 Guests can enjoy bed and breakfast accommodation in any one of the 18 double bedrooms, all en suite, located around the 183 hectare wine farm. 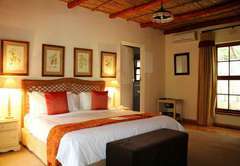 All rooms are furnished in a comfortable country style and are ideal for those preferring privacy and independence. There is an option of single or double beds throughout. 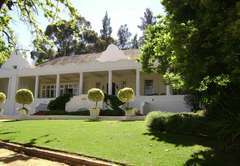 Guests are welcome to enjoy the facilities available at this wonderful third generation family estate. 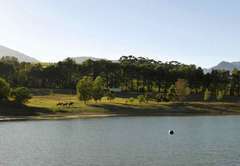 From leisurely lazing around the swimming pool, to horse riding, mountain bike trails and walks for the more energetic and wine tastings, you are ensured of an enjoyable and relaxing time at Diemersfontein. Breakfast, lunch and dinner can be taken at Seasons, a contemporary restaurant with an a la Carte menu, that changes to reflect the best of what is available throughout our four seasons. 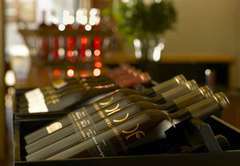 Diemersfontein offers wine tasting, seven days a week between 10.00am and 5.00pm at Seasons Restaurant. Keen golfers will be reassured that there are eight courses within half an hour’s drive. 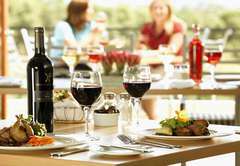 Nearby facilities for visitors include four wine routes and a variety of other attractions. 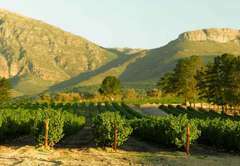 The popular towns of Franschhoek, Tulbagh, Paarl and Stellenbosch are within 30/40 minutes drive. 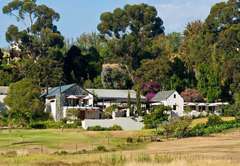 Diemersfontein serves as an ideal base for exploring the attractions of the Winelands. Double Bed only / Bath, Hairdryer, Tea and Coffee Facilities, Fan. Twin Beds or Double Bed / Bath Hairdryer, Tea and Coffee Facilities, Air-con. 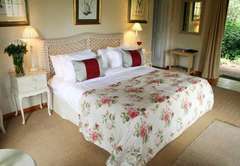 Twin Beds or Double Bed / Shower Hairdryer, Tea and Coffee Facilities, Air-con. Double Bed only / Shower Hairdryer, Tea and Coffee Facilities, Air-con. 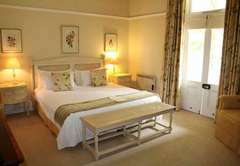 Twin Beds or Double Bed / Shower Hairdryer, Tea and Coffee Facilities, Air-con, Television. Double Bed only/ Bath, Hairdryer, Tea and Coffee Facilities, Air-con, Television. Double Bed only / Bath Hairdryer, Tea and Coffee Facilities, Air-con. 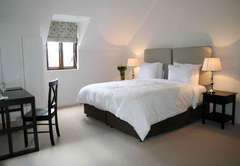 6 Rooms with Twin Bed or Double Bed / Shower Hairdryer, Tea and Coffee Facilities, Air-con, Television. 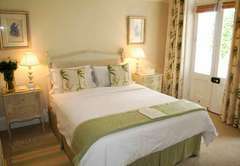 The Cottage has 5 Rooms with Twins or Double Beds / Shower Hairdryer, Tea and Coffee Facilities, Air-con. outstanding. loved the stay.excellent personable attention and good food. Would love to have stayed longer. Wonderful surroundings and gardens. Very friendly and helpful staff everywhere The accommodation was very comfortable, the pool was most welcome - we had very hot days!! The restaurant was very good, attentive staff and very good food. We had a wonderful 2 day stay. Thank you. My only negative comment is that the carpets in the bedrooms needed cleaning and some of the linen was a bit old! Response timeDiemersfontein Wine & Country Estate typically responds to requests in 5-10 minutes. Exceptions to check-in / out times are available with prior arrangement, please enquire.